Elegant and indulgent, our brand new Chocolate Covered Comice will have you taking bite after bite. We start with our premium Comice pears, the sweetest and richest pear around, and then hand dip the dried slices in luscious chocolate. 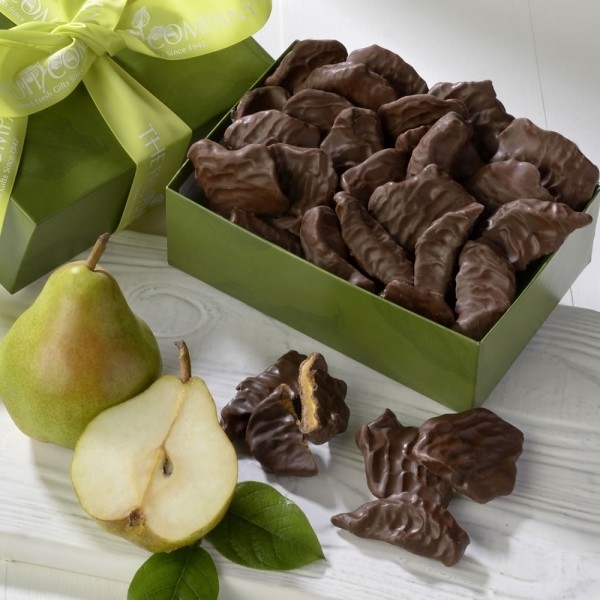 They make the perfect holiday treat, but don’t forget to order one for yourself, too! Mother's Day Gourmet Cookie Box Brookstone Leather Tablet Stand E-Padfolio Organic Wine & Cheese Gift Basket Burst of Flavor Balsamic Vinegar 6 Pack ***SAVE 10% & Free Shipping!!! ***- Select your 6 and enjoy!